2 Who Needs Vitamin B12 Shots? 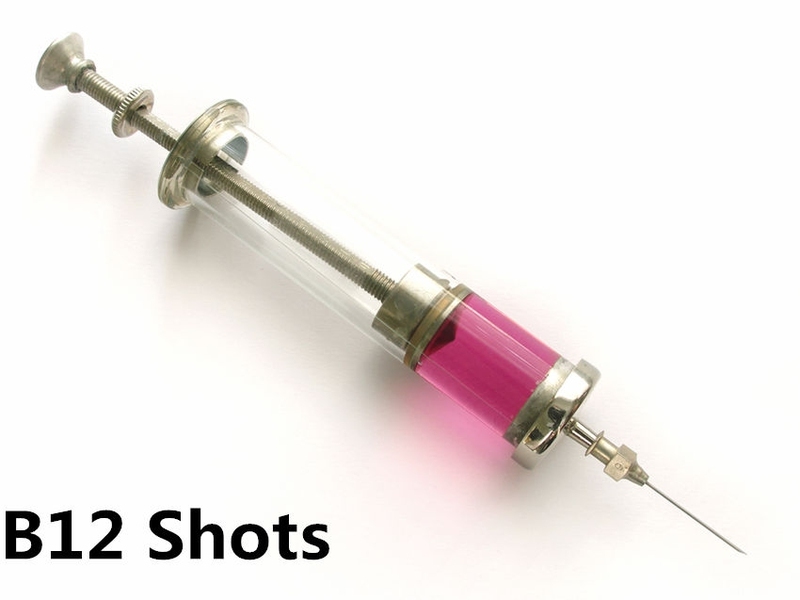 3 What Should Be Known Before Taking B12 Shots? 2 Who Is at Higher Risk of Vitamin B12 Deficiency? If you follow or have spoken to your doctor about preventative health, you’ve probably heard quite a lot about or even received vitamin B12 shots. These injections are said to boost your energy levels, improve your mood, and promote fat loss. They may be given alone, or in combination with other chemicals, such as antioxidants. But how do they work, and are they really effective? Vitamin B12 is a crucial nutrient for optimum brain and heart function, as well as general good health. It’s involved in the production of both DNA and red blood cells, and helps to decrease the levels of homocysteine, an amino acid. If you don’t have enough vitamin B12 in your body, this may lead to the short-term tiredness, mental confusion, muscle weakness, and reduced blood pressure. Moreover, long-term vitamin B12 deficiency may result in hallucinations, mood disturbances, Alzheimer’s-type symptoms (e.g. problems in concentrating and memory loss), and elevated homocysteine levels. High homocysteine levels have been associated with health problems such as osteoporosis, dementia, depression and heart disease. In short, only people with vitamin B12 deficiency need to have additional supplements such as oral pills or injections. What's more, there is no medical evidence that increased vitamin B12 levels will lead directly to weight loss and the energy boost. Thus people who want to take vitamin B12 shots for these purposes must think twice and consult with doctor. If you have problems with vitamin B12 absorption, then the injections could make you feel a lot better, with greater energy, more focus, and improved mood. Bright outlook you get from the vitamin may give you the motivation that you need to get moving and improve your diet. Injections are often preferable to oral vitamin B12 supplements, which may take a while to get into your bloodstream, especially if you have absorption issues. What Should Be Known Before Taking B12 Shots? You should never give yourself vitamin B12 injections, as they need to be administered by a trained healthcare professional. The normal dose for those with a deficiency is 1,000 micrograms, and this is delivered straight into your muscle tissue, usually in the upper arm or thigh. A typical treatment program consists of daily injections for 10 days, followed by one injection each week for four weeks, then once a month from then onwards. Alternatively, it can be administered at regular intervals over a total of 90 days. For patients with depression, the usual dosing regime is 1,000 micrograms vitamin B12 per week for four weeks. To increase cognitive ability, 1,000 micrograms is injected each day for five days, followed by the same dose once a month for five months. Who Is at Higher Risk of Vitamin B12 Deficiency? Vegans and vegetarians who eat little or no animal products, including meat, eggs, cheese, and milk, may also be susceptible to vitamin B12 deficiency. In addition, babies born to vegan or vegetarian mothers can be at risk. Server responsed at: 04/19/2019 5:10 a.m.